"The cabin has given us an awesome opportunity to spend time enjoying nature while getting away with my kids before they are off on their own." "It’s like having my own miniature lodge to relax in…. a place where I can have a meal and enjoy friendships." Schedule a tour of our manufacturing facility with a Mountain King onsite! Conestoga offers a broad line of standard models across a wide range of log building types. However, there may be unique needs to a site or special features, which demand a custom design. 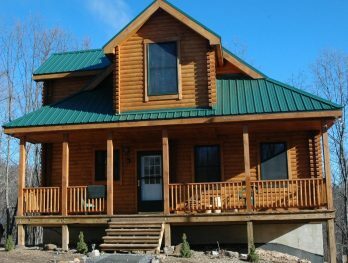 Conestoga Log Cabins offers an in-house custom design service for these needs. Our designers are experts in log cabin structures and bring years of experience in design, engineering and CAD (computer aided design). Conestoga’s design staff has advanced the use of BIM (building information modeling) for log cabin production and stays on the leading edge of CAD technologies. Whether you need a simple adjustment to a floor plan, a reconfiguration of an existing building plan or concept sketches for a totally new design, Conestoga’s custom design service is able and available. Some Conestoga customers handle their own assembly, others choose to hire a local builder. You can also choose to have Conestoga assemble your cabin. Each of Conestoga’s assembly teams is trained, experienced and endorsed by Conestoga Log Cabins. Our assembly teams arrive onsite and complete the entire kit assembly process, ensuring a finished product built to last. 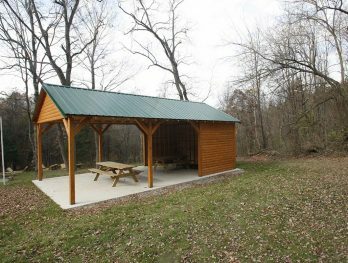 Conestoga assemblers have fully completed many campground and resort property log cabin builds, as well as many log home kits. We design and produce all the log cabin kits we ship. Thus, Conestoga has developed a complete knowledge base of technical expertise. Our technical support staff works closely with design, engineering, and production. They also interact with assembly teams, builders, project consultants, and the end users. This broad knowledge makes them excellent support specialists. Conestoga’s support specialists are available to ensure a trouble-free and satisfying experience with your Conestoga kit. Our technical staff is field-trained, service-oriented and committed to preserving our reputation for outstanding customer support. Providing family memories since 1983. That’s what we are achieving at Conestoga Log Cabins because our mission is to build the most beautiful, durable, low-cost and unique log cabins and log homes in the industry. Conestoga has over 3,000 log kits in all 50 states, as well as seven foreign markets. We strive to build high-quality log cabin kits while providing them at the most affordable prices. Our team of project managers and designers dedicates their time to excellence. This is because we take pride in building memories that families can cherish for generations to come. Conestoga Log Cabins’ started by constructing simple, solid, and practical structures for the campground market. Families soon discovered the warmth and charm of our cabins and wanted their own. So, we responded to the demand and introduced our unique product line. 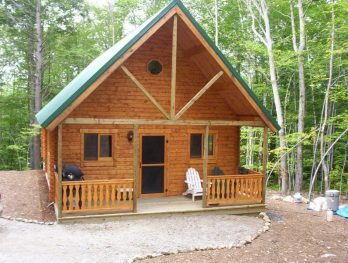 We supply primary and vacation homes for individuals, as well as a variety of commercial log buildings. You can find our commercial buildings in federal parks, church camps and resorts, besides Boy Scout Camps and private camps. The name Conestoga identifies with local history, creativity, and durability. We assembled our first log cabin in the company owner’s backyard using wood from the nearby Conestoga forest. Our entire building process is in a locally owned and operated 100,000 square foot factory. We are now close to 35 years in the business of designing, building, and delivering an excellent product. Conestoga is mastering the log cabin kit industry. We bring you, the customer, the most affordable and long-lasting log cabin homes. What Makes Conestoga Log Cabins and Homes Unique? Experience, craftsmanship, versatility, durability, affordability, and personality are what make us unique. We’re proud of our history. Since 1983 we’ve sold over 3,000 log cabins and homes across America and overseas. We specialize in log home kits under 2,500 square feet while providing log cabin kits to over 300 resorts and campgrounds. Our product range includes residential, vacation, and commercial buildings. These range from log offices, stores, and bunkhouses to bathhouses. All of our talented project consultants have years of experience with Conestoga Log Cabins and work right at our factory location. Our low-maintenance logs are the key. They experience far less shrinkage, twisting, checking and warping compared to competitors’ logs. Our logs also make us the only cabin kit builder that has 28-foot logs without joints therefore providing the most air resistant and waterproof system available. Most importantly, we strive to be green by using sustainable technology practices.